Reid told reporters earlier this week he had been told about the prisoner swap last Friday, one day before the exchange. But a senior administration official, speaking on condition of anonymity, later said Reid was briefed about the mission on Saturday. At the press conference, Reid said the discrepancy in when he found out is "a big deal over nothing." His comments come as many members of Congress, including Democrats, have expressed frustration with the administration for notifying them of the prisoner exchange on the day it happened, not before. Law requires the administration to notify Congress 30 days before detainees are transferred from Guantanamo Bay. On Wednesday, some lawmakers were shown a video the government received during negotiations late last year to prove Bergdahl was still alive. In the classified briefing, senators were told that the United States had credible information that Bergdahl would have been killed if news of the exchange became public ahead of time, according to a Senate aide who spoke on the condition of not being identified. Reid defended the administration Thursday, saying "the president had a very short period of time to make a decision." "He made a decision to bring him home and I'm glad he did because in my opinion–based on nothing in the classified briefing–in my opinion, every day that he was there was one closer to his dying," Reid said. Still, it was irrelevant whether or not Bergdahl was sick, Reid said. 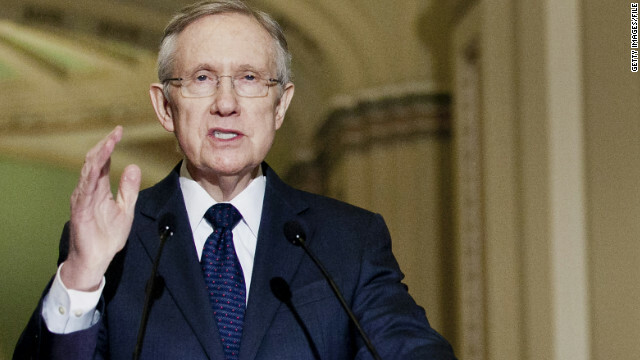 "Let's assume he was in vibrant health and he was faking all this," Reid said. "He is an American soldier, he's been kept in captivity for five years. The war is winding down. Let's bring him home – we do." - CNN's Jim Acosta, Ashley Killough and Tom Cohen contributed to this report. That seems to be the mantra from democrats lately for every foreign policy failure. Soldiers died trying to get Bergdahl back from the Taliban. But hey – What difference does it make! Ha! Ha! From Benghazi to releasing the name of the CIA station Chief in Afghanistan and now this lop-sided hostage deal. But what difference does it make?! Ha Ha!! Btw, who in the White House did the negotiating with the Taliban?! That person should be fired. But what difference does it make?! LOL!! Hee Hee!! Hmm, where are all the scmbag liberals here to defend this administration no matter what.. hey he kicked a puppy. Oh im sure that puppy was racists. Oh look he ran over an elderly lady.. Oh that's ok, she was close to death anyways. Term limits i mean he is just so old and he is really trying to ruin this nation before he dies and goes down there to visits the one that made him do it . He must have got his talking points from the pants suit queen. Another dem with no leadership ability, Reid just not up to the task. What a joke Obumbles and his crooks are. I can't believe he actually had the nerve to say that. I will correct this lie as often as I see it: Ms.Clinton said the "what difference" quote in response to hounding in the hearings over the motivation of the attackers. She was making a point that it was more important that four Americans died and future prevention than what was in the minds of the attackers. She was placing the deaths as top priority as opposed to what her Inquisitors were finding important. The transcripts are easy to find online. The truth is awesome. Obamacare lies and deceit.... what difference does it all make! Dead American Border Patrol Agents from fast & Furious.... what difference does it all make! Four Dead Americans in Benghazi.... what difference does it all make! IRS targeting Obama political opponents.... what difference does it all make! Justice Dept. targeting reporters, lying to judges.... what difference does it all make! Russia taking over Ukraine.... what difference does it all make! Releasing leaders of a terrorist group we are at war with.... what difference does it all make! Yes, one line for every level of idiocy and incompetence. It doesn't..........if you believe you have the right to make your own laws, and ignore those made by the Congress.........in other words criminals ignore the laws. Guess who that now includes?????? how could you send this senile moron to the senate nevada?!! what the heck is wrong with you people?!! Here's the context of the quote for Captian Awesome and his failing memory.
" With all due respect, the fact is we had four dead Americans. Was it because of a protest or was it because of guys out for a walk one night who decided that they'd they go kill some Americans? What difference at this point does it make? It is our job to figure out what happened and do everything we can to prevent it from ever happening again, Senator. Now, honestly, I will do my best to answer your questions about this, but the fact is that people were trying in real time to get to the best information. The IC has a process, I understand, going with the other committees to explain how these talking points came out. But you know, to be clear, it is, from my perspective, less important today looking backwards as to why these militants decided they did it than to find them and bring them to justice, and then maybe we'll figure out what was going on in the meantime." 30 days notice? The swap would be a secret that would not last 30 minutes. The republicans would do everything in their power to wreck the deal and would then howl that Obama failed to get him back anyway. Why is the GOP so adamant about keeping Guantanamo open? Do they think our prisons couldn't hold them? Or are the afraid that if the prisoners were in the US they would be in reach of the Supreme Court, who may order the military to try them or free them? Or is it just a matter of Obama said he would close it and the GOP will therefore see that he doesn't? Just shows you; Democrats do not care about America and its laws. Per Harry Reid "What difference, at this point, does it make?” ....... Oops, the man stole that quote from Hillary! Bottomline: Obama lied and got caught in a desperate attempt to get the VA scandal off the news. Now President Pinocchio is trying to lie his way out (with the help of Harry Reid and CNN). and another word from dirty harry reid. We need to drain the DC swamp and start over. This administration of self-centered, nialistic totalitarians is so drunk with power and lives so deeply in a bubble, that they may actually try to make "What difference does it make" their poster-bearing slogan for 2016. Several bloggers repetition( of a question and phrase part of a fuller contextual answer) " what difference does it make" parotted out of context is as bad, nay worse than the 5 word phrase.. Logically and factually, you score no points with me.... just prove US politicians, are both sides,out of control. and ignoring the under lying need of solving the issue of How and why people died and fixing it so it does not happen again. The answer to that question is.... The difference will be clear in November when Mr. Reid will be reduced to Senate Minority Leader at the very least. At best, he will choose to retire from the Senate and spare us all from his continued embarrassment. CNN- your headline is dishonest. That response was to when he was notified, not Congress as a whole.